The United Arab Emirates (UAE) military command has announced the death of two UAE pilots killed in their aircraft crash in Yemen. The pilots identified as Major pilot Ali Saeed Saif Al Mesmari and first lieutenant Pilot Badr Yahiya Mohammed Al Marasheda died in the crash of their jet carrying duties in Yemen. The General Command said a technical failure caused the crash. 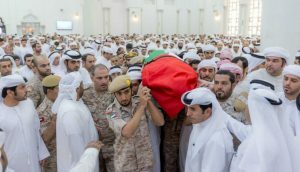 The country’s state-run news agency WAM had reported that an Emirati soldier died Monday of wounds suffered earlier in the Yemen war. The UAE is part of the Saudi-led Pan-Arab coalition involved in ‘Operation Restoring Hope’ in Yemen aiming at restoring President Abd-Rabbu Mansour Hadi to power. The campaign began in 2015 after Iran-backed Houthi rebels chased President Hadi out of capital Sana’a. The coalition has lost hundreds of soldiers in the warfare, which has killed close to 10,000 people and displaced hundreds of thousands. 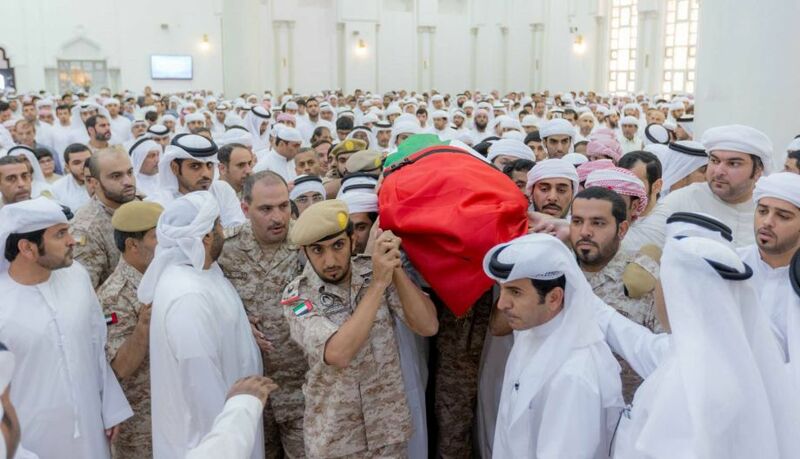 The UAE in August lost 4 soldiers in a helicopter crash during a routine mission. The military spokeperson said the aircraft experienced technical dysfunctions. Over 100 UAE troops have been killed since the beginning of the war on Yemen.